Orthotics (or orthoses) are custom shoe insoles that have specific functions that help treat pains and problems in the feet, ankles and legs. These functions will vary depending on your problems – much like prescription glasses – but can include correcting flat feet, heel pain, leg length differences, arthritic pain and reducing end-of-day aches and tiredness. More than fixing problems and pains, we also use orthotics to improve performance and endurance during sports, optimise your output in your daily life and also reduce the likelihood of future problems developing that you may be susceptible to developing. 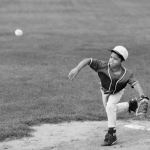 We prescribe three types of orthotics based on the problem you’re experiencing, the goal that you’re wanting to achieve, and what we’ve found works best for our patients. Custom-designed orthotics are very carefully thought out and prescribed by your Podiatrist – right down to the last millimetre. They’re prescribed following a thorough biomechanical examination of your feet and a mould/impression of the feet being taken so we know the precise location of all the bones, joints and muscles whose function we plan to adjust to produce the best outcomes in the shortest timeframe. 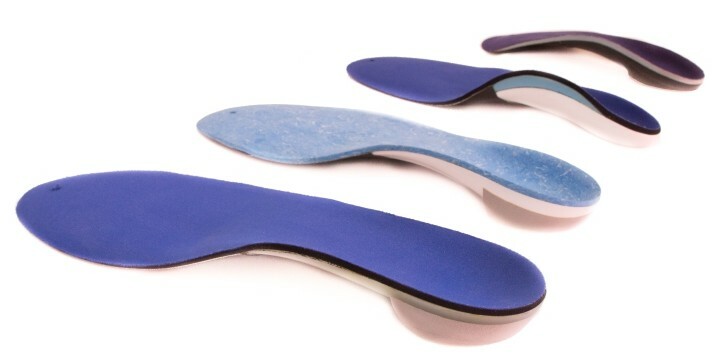 We have a variety of prefabricated orthotics available that have been pre-made with specific features, such as cushioning, shock absorption, arch support and more. These are used in cases where the best outcome for your feet can be achieved by the function of that specific orthotic, such as reducing foot and leg tiredness at the end of a long workday by improving the shock absorption through the heel and foot. 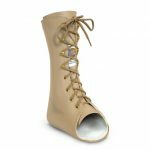 Ankle-Foot Orthoses are custom-made for your foot and have design features that are medically proven to help with a variety of conditions, including drop foot and Posterior Tibial Tendon Dysfunction (PTDD). 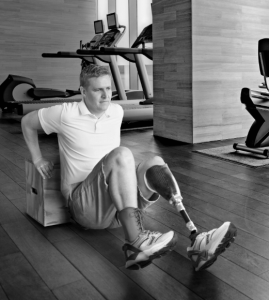 Scroll down to read more about our AFO’s below. Unsure Which Is Type Is Right For You? Don’t worry – this is our speciality. After your comprehensive assessment, your Podiatrist will advise you on which will deliver the best results for you and the pros and cons of both. Just sit back and relax! Generally, we prescribe custom orthotics for chronic or long-term problems, or where the orthotic must be very precise in its function. 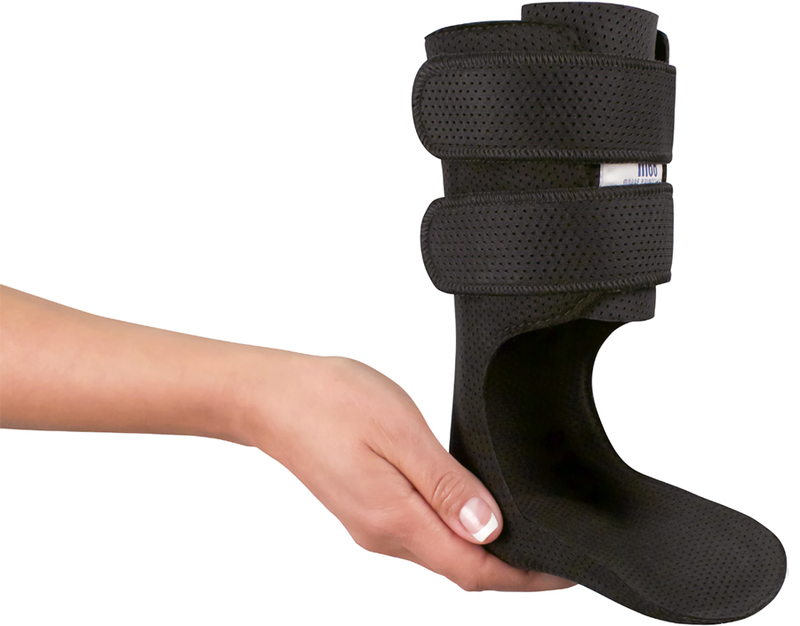 These orthotics can last 5-10 years. 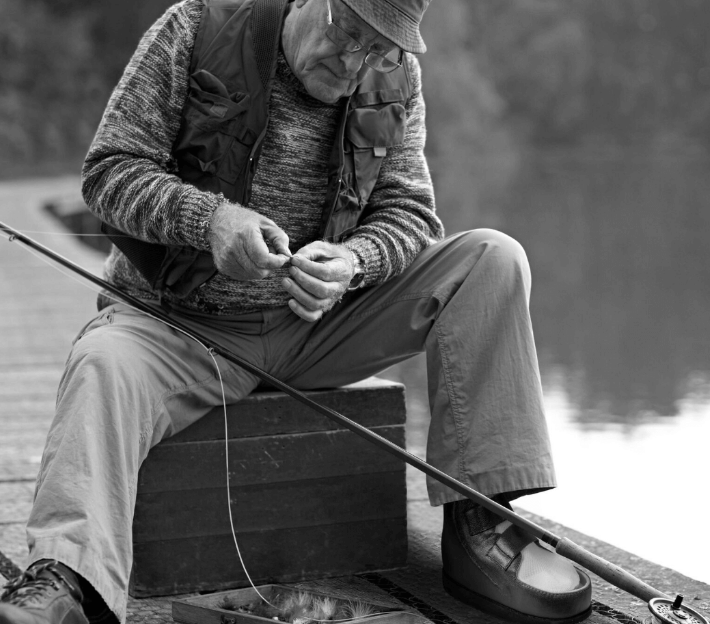 Prefabricated orthotics are then better suited to acute conditions, like a one-off accident or injury where the orthotic will be used for a shorter timeframe to facilitate healing and repair. If you’ve got any further questions about orthotics and your feet, just give our friendly team a call on 0800 869 526. 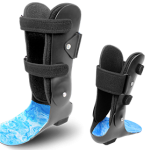 Our custom ankle braces, or ankle-foot orthoses (AFO’s), are not as you know them. Throw out any misconception of large, chunky devices that make it unnecessarily difficult to move around. Our range of Arizona braces are slimline, look great, feel great and are making significant improvements to the lives of our patients when it comes to comfort, pain and mobility. 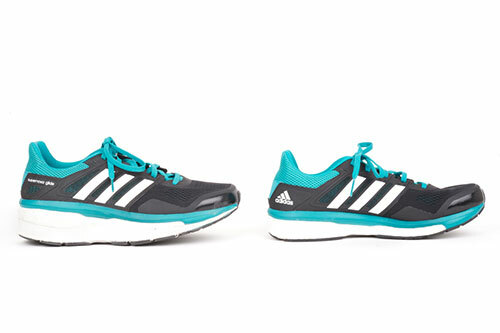 Your feet are unique – and at times, your shoes need to be too. Whether you have a wide forefoot from a bunion, have a limb length difference that can be corrected with your shoes or would benefit from a rocker-bottom sole to help you walk smoothly, we’ve got you covered. These seemingly small modifications make a world of difference to our patients and their level of comfort on their feet. Masterton Foot Clinic has in place an orthotics contract with ACC. This means that if orthotics are indicated as necessary for your recovery following an accident, and you meet the ACC eligibility criteria, the cost of your orthotics may be fully covered.